Our Illinois genealogists are available to research on location. They will find and analyze the best records available to further your family history research. They can search the archives and libraries in Illinois, as well as help you with other special requests. Our researchers are available to visit local archives and libraries to access unique record collections to help with your research. Below is a list of a few of the archives our Illinois researchers have access to. The National Archives at Chicago include in-depth historical and genealogical records. Articles here include federal censuses from 1790 to 1930, military service records, pension records, and one million naturalization records from 1840 to 1950. The Illinois State Archives hold county and state records that date back to before the Great Chicago Fire in 1871. The archives contain statewide death certificates from 1916 to 1947, and marriage records from 1763 to 1900. Military records such as muster rolls and Civil War registers can be found here as well. The Illinois State Library has over 5 million genealogical items and approximately 200,000 maps. They collect official publications of the state and federal governments, including federal census records from 1920. Their collection also contains Illinois county histories and Revolutionary War pensions. The Illinois State Genealogical Society was formed in 1968. The members and the volunteers of this society are responsible for the development of several important genealogical projects. A few of their projects include the creation of ancestor charts and compilation of family bible records, cemetery records, church records, military certificates, and information on the prairie pioneers. The Illinois Regional Archives Depository System (IRAD) has local government records and name indexes. Western Illinois University is part of the Illinois Regional Archives Depository System, which works to make sure specific historical and genealogical records from all the state regions are archived. This section of the Regional Archives covers several counties including Calhoun, Peoria, Rock Island, and Warren. Materials housed here cover information on the history of the university and the history of west-central Illinois. Articles that focus on the university include records of administrative offices, student newspapers, yearbooks, and master theses, as well as oral history tapes. The Abraham Lincoln Presidential Library opened in 2005. Since that time, it has become known as one of the best attended presidential libraries and one of the most studied museums. The Presidential Library is the new home of the Illinois State Historical Library and the latter’s famous Henry Horner Lincoln Collection. The archives at the Presidential Library include 12 million books, documents, and artifacts. They also hold significant historical articles such as an original copy of the Emancipation Proclamation, the 13th Amendment outlawing slavery, and the Gettysburg Address. Each of these items is over 100 years old. The Arlington Heights Memorial Library is home to a large local history collection. Some of these items include local church records and several yearbooks from high schools in the Arlington Heights area. There is also information on several citizens living in the city. The archives hold census records from 1850 to 1930, and vital records such as Illinois births, deaths, and marriages. The Chicago History Museum was formerly known as the Chicago Historical Society and contains more than 20 million manuscripts in their archives. These include articles such as letters, account books, vital records, diaries, and logbooks. This collection focuses on information and records from the American Civil War. This section of the archives specifically holds records that date back to Chicago’s history and social conditions during the Civil War. The John A. Logan College Library is an excellent resource for genealogical records from Southern Illinois. This library is home to the Genealogical Society of Southern Illinois and holds more than 1,000 books and several hundred reels of microfilm. The society covers the history of 28 different Illinois counties, including Alexander, Clay, Clinton, Edwards, Franklin, Gallatin, Hamilton, Hardin, Jackson, Jefferson, Johnson, and Lawrence. The collections at UIS include the Macon County Circuit Court Cases (1829-1861), Macoupin County Coroner’s Inquests (1835-1928), Morgan County Poor Farm records (1850-1932), Sangamon County Guardian’s Cases (1825-1901), and the Sangamon County Probate Cases (1821-1906). The Lincoln Library is the public library of Springfield, Illinois. The library contains the Sangamon Valley Collection, which provides in-depth information for those studying Springfield, Sangamon, and the eleven adjacent counties. The collection was established in 1970 and is still gathering information from the areas described above. Their manuscript collection contains unique information from Springfield businesses, organizations, and families. The Lincoln Library also holds indexed obituaries from the Illinois State Journal, from 1861 to 1934, and 1959 to the present day. The Newberry Library contains genealogical information from Illinois and from other states in the Mississippi Valley area and the eastern seaboard. Their archives also include records from the British Isles and Canada. They have a variety of holdings such as genealogies, local histories, censuses, military, land, indexes, vital records, court, and tax records. This library focuses on colonial North America holdings, specifically ones from New England. The library is also home to the Edward E. Ayer Collection, which is known as one of the strongest collections of Native American histories in the world. Edward Ayer donated more than 17,000 pieces on the early contacts between American Indians and Europeans in the early 1900s, and the collection has only grown since then. Now it contains 130,000 volumes, over 1 million manuscript pages, 2,000 maps, and 11,000 photographs. 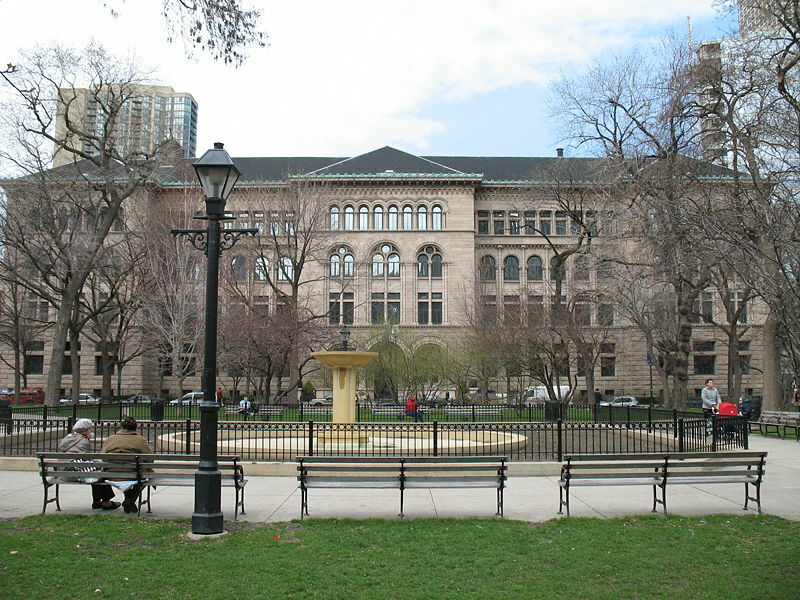 The Northeastern Illinois University in Chicago include numerous collections that our Illinois genealogists can search in your behalf. Among these collections are the Chicago City Council Proceedings (1833-1871), Chicago Police Department Homicides (1870-1930), and the Cook County Coroner’s Inquests (1872-1911). The University of Illinois at Chicago contains an archive with many genealogical resources. These resources include birth certificates, court records, death certificates, coroner’s inquests, probates, wills, almshouse registers, homicides, and naturalizations. Unlike other historical societies, the Chicago Historical Society is more of a museum than an archives. The society holds numerous historical records and photographs. Visitors can learn about local histories here through different documents and artifacts. Harris, Adlean Papers (1965-2005) documents black history and civil rights organizations. – Husband, Lori Papers (1965-2003) African American genealogy, including three studies of genealogical information found in the “Chicago Defender” newspaper. – International Society of Sons and Daughters of Slave Ancestry Archives (1996-2002) documents the genealogy of former slaves. Jones, Jeanne Boger Papers (1845-2000) contains her family genealogy, World War II black naval veterans of Great Lakes, and records of the Chicago chapter of the Idlewild Lot Owners Association, Inc.
– Patricia Liddell Researchers (PLR) Archives (1920-2006) includes over 10,000 funeral programs and surname indexes. – Turner, Glennette Tilley Papers (1978-2001) contains more than two decades of research on the Underground Railroad, including manuscripts, subject research files, programs, monographs, photographs and memorabilia. Also included are materials on the National Park Service. – Wilson, Muriel Papers (1975-2000) includes research materials on African American history and genealogy, genealogical serials, and photographs. The Cook County Clerk has birth, marriage, and death certificates. While this is an office for public information, researchers can access records dating back to the times of your potential ancestors. The Cook County Clerk of Court Archives is the most popular Chicago archive with probates/wills, divorces, and early naturalizations, all back to 1871. The Spertus Institute Library is a Jewish college library containing copies of the Sentinel.The archive also includes NARA Naturalization papers (includes the Detroit area). The Polish Genealogical Society of America has many genealogical records including obituary records. The Pritzker Military Library holds an archive containing 40,000 volumes or more spanning all periods of history, countries, cultures/peoples, and branches of the United States military services. The collections at Illini State university include the Coroner’s Inquests (1924-1977), Livingston County Probates (1837-1958), Logan County Circuit, Court Criminal Cases (1857-1945), McLean County Probates (1834-1934), McLean County Wills (1838-1940), Vermilion County Coroner’s Inquests (1908-1956), and Woodford County Almshouse Registers (1868-1957). The Northern Illinois University contains several collections, including Carroll County Birth Certificates (1877-1913), JoDaviess County Almshouse, Registers (1846-1938), Kane County Circuit Court Cases (1836-1870), Lake County Circuit Court Cases (1840-1898), Ogle County Almshouse Registers (1878-1933), and Ogle County Naturalization Papers (1872-1906). The Southern Illinois University collections contain many useful genealogical resources that our illinois genealogists could research on location. These resources include East St. Louis City Court Naturalization Papers (1874-1906), Madison County Probates (1813-1903), St. Clair County, Circuit Court Chancery Cases (1815-1870), and St. Clair County Farm Board records (1874-1879). The Consortium of Academic and Research Libraries in Illinois (CARLI) has 96 independent collections, including 1829 Alumni Catalog for Illinois College to 1837 snapshots of Chicago streets. The Eastern Illinois University library and other facilities contain collections including, Birth Certificates (1868-1925), Mattoon Court of, Common Pleas (1869-1873), Mattoon Death Certificate Registers (1899-1918), Shelby County Circuit Court Case Files (1828-1871), and Wayne County Coroner’s Inquest Records (1888-1960). Our Illinois genealogists specialize in researching several types of documentation and are not limited to the list above. For more information or specific inquiries about our genealogists, please feel free to contact us.